What are internet dating scams? Internet dating scams are when scammers use dating websites, email, or social media to take advantage of those looking for romance online. An internet dating investigation will confirm the authenticity of online identities and aid in avoiding theft and fraud. Online dating scammers will create fake profiles, including false pictures, names, and information, which is usually catered to the type of victim they hope to attract. They will then gain the trust of victims through loving words, heartfelt conversations, and even gifts in order to attempt theft of money or identity. 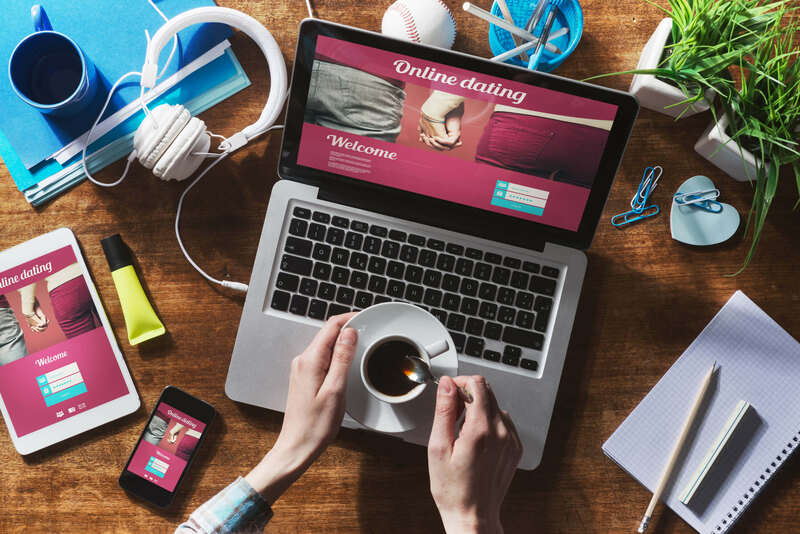 What is an online dating investigation? An internet dating investigation is the use of a private investigator to reveal an online romantic partner’s true identity and motives. They will take actions like gathering in-depth information across multiple platforms, conducting extensive background checks, and tracing messages back to their original sources. Ultimately, the data gathered by an investigator will be used to put the victim at ease, uncover potential criminal action, and prevent future fraudulent activities by turning evidence over to the police. The Basic Swindle: The most common scam is when the con artist, after forming a relationship with their victim, requests money for seemingly valid reasons, like a family member in the hospital or a severe car crash. After the money has been sent, they cut contact. Money Laundering: Money laundering is also a fairly common scheme. It involves asking victims to send money or stolen objects, like laptops and cellphones, so that they are harder for the law to trace. Scammers also ask their victims to forward packages and cash checks. Internet Scandal: A recently rising scam involves con artists growing so close to their victims that intimate photos and/or conversations take place. Scammers then publish this private information and will only remove it when given a large fee. Even then, there is no guarantee that the information will be removed. Catfish: A term based on a heartbroken filmmaker's movie, a catfish scam is when someone uses fake online profiles to appeal to their victims romantically. These scammers use fictitious names and photos to lure people in, sometimes for no other reason than to have a relationship. Sometimes it's easy to tell when and online contact is inauthentic, but some signs are not as obvious. Here are some actions you can take in order to traverse the web safely. Most scammers will claim to be from your area but they are currently unavailable to meet due to working overseas or tending to a sick relative. This includes pictures that look overly glamorous or don’t line up with the person’s current claimed location. You can also Google image search any pictures they provide. Significant age differences are also common since scammers often target older victims. Con artists will often share or press for personal information right out of the gate. They will also declare strong feelings within a short period of time. Internet dating scammers will usually prompt their victims to use more personal means of communicating, like emails or texting. In their messages, look for abundant grammatical errors and vague statements. They may even call you by the wrong name. They will ask for money and usually accompany the request with a good excuse. However, you should never send money, objects, or even basic information to someone you haven’t met in person. Ultimately, use only well-known dating sites that most people know the names of. These websites make it harder to create fake profiles but remain cautious. Internet dating scams often cause more pain than hurt pride or a broken heart. These scams are a form of fraud that can result in identity theft, crime, and significant loss of money. Having a professional, unbiased opinion that is familiar with these scams is vital to your safety and prevents money loss. Private investigators have experience recognizing and handling online dating scams. They also have access to tools, like background checks and high-powered software, which produce undeniable proof that will stand up in court. Need a Social Media Investigation? Use the search utility on the top of this page or select from the state list to find a Social Media Investigator. Still can't find what your are looking for? Call us at (888) 997-4669.